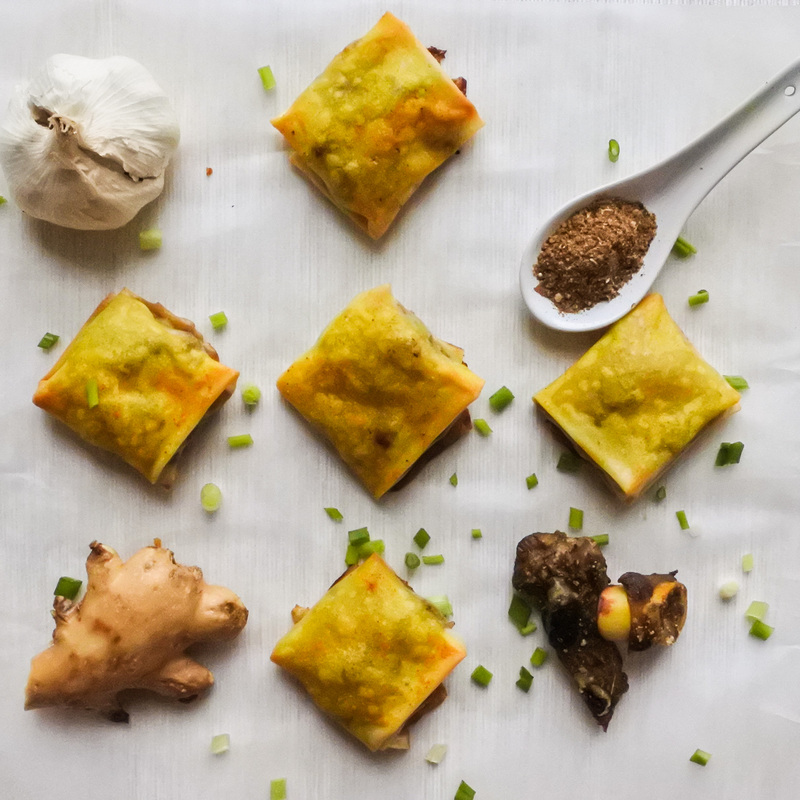 Some of the best food in China can be found in Xinjiang province, located in Western China and typically halal and more reminiscent of middle Eastern cuisine than of anything you would recognize from your local takeaway. Popular dishes of this region are spiced barbequed lamb, hand pulled noodles, crunchy flatbread and a whole host of other tempting pastries, stews and pilafs. For me, Uygher food from Xinjiang holds a special place in my heart. When I first started dating my husband we were seeing each others long distance – meeting up every two weeks or so. Before parting ways, we would indulge in a local Uyghur restaurant where we would order these tasty little buns. Buttery soft with just a bit of crunch, salty and spicy inside with the most delicious lamb. These tasty morsels were a delectable parting gift that were always eaten as soon as they hit the table and always ordered immediately again after being devoured. As food goes, these are as irresistible as they come. Something about them always left me coming back for more. After all, who can resist tender lamb coated in ginger, garlic, butter and and all those central Asian spice flavors wrapped up in a buttery shell? I certainly can’t. Combine all ingredients together and lightly toast in a frying pan. Transfer to a mortar and pestle or spice grinder and combine until you get a powder. Keep in a cool, dry place for later use. Combine ginger, garlic and 4 tbsp of melted butter. Puree until a paste is formed. Toss ginger garlic paste and 2 tbsp of spice mix with the lamb until everything is evenly coated with paste. Place a tablespoon of the lamb mixture at the bottom right hand corner of the large spring roll wrapper. Fold up, fold left, fold up, then tuck the bottom underneath. Add a pinch of turmeric to the remaining 4 tbsp of butter and mix. Brush parcels on both sides with turmeric butter. Bake in the oven (flap side down, of course) for 15-20 minutes or until parcels are crunchy and the lamb is cooked to your liking. Combine ginger, garlic and 4 tbsp of melted butter. Puree until a paste is formed. Toss ginger garlic paste and 2 tbsp of spice mix with the lamb until everything is evenly coated with paste. Then tuck the bottom underneath. Place on a baking tray. Add a pinch of turmeric to the remaining 4 tbsp of butter and mix. Brush parcels on both sides with turmeric butter.